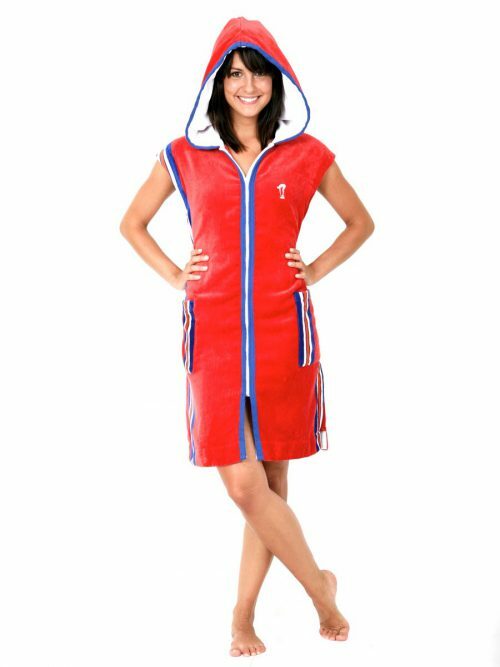 A lighter Sleeveless Beach Robe (without sleeves) for a little extra room to move. 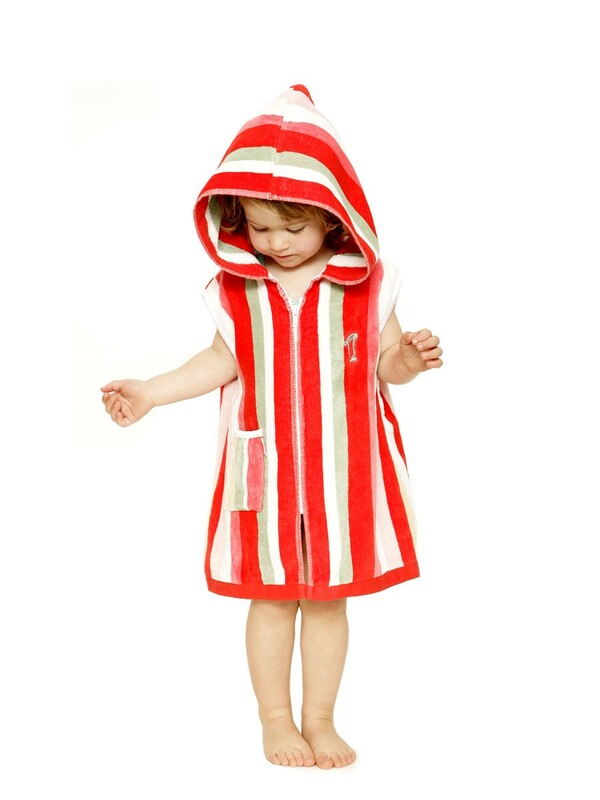 This design in red, pink and white stripes with a touch of green. 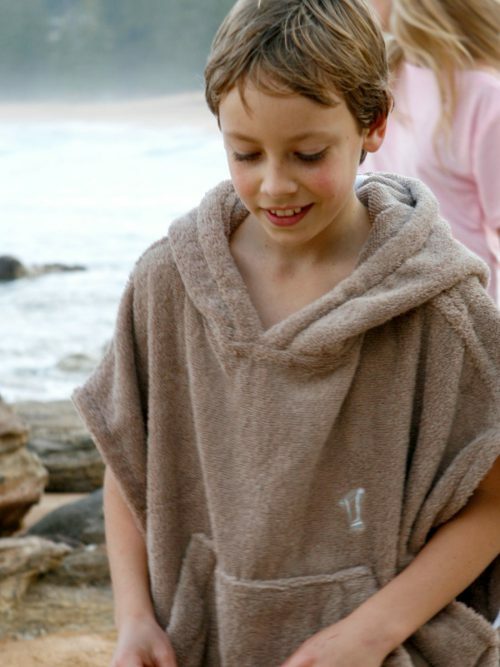 Made offshore from comfortable and absorbent 100% cotton towelling. 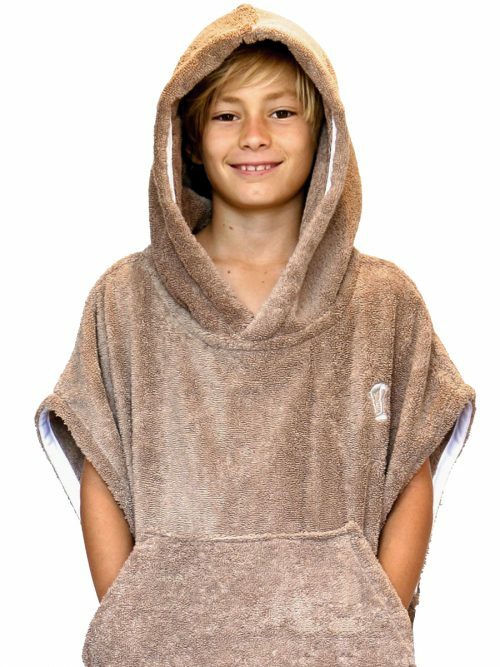 Over sized hood for sun protection and warmth. 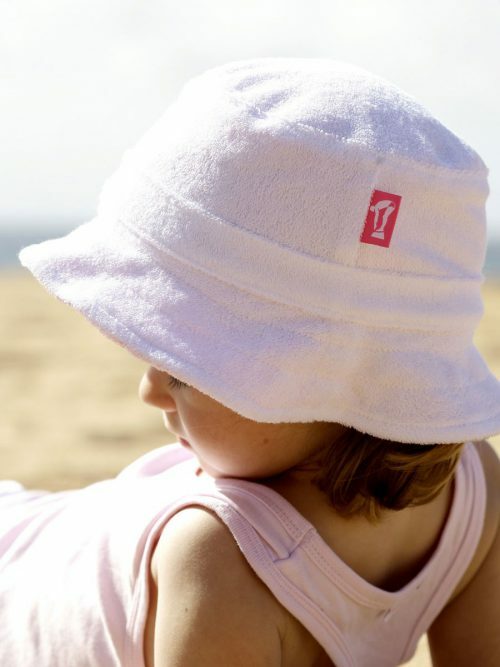 Terry loops on inside for absorbent drying, velour on the outside for soft touch and to reduce sand capture. 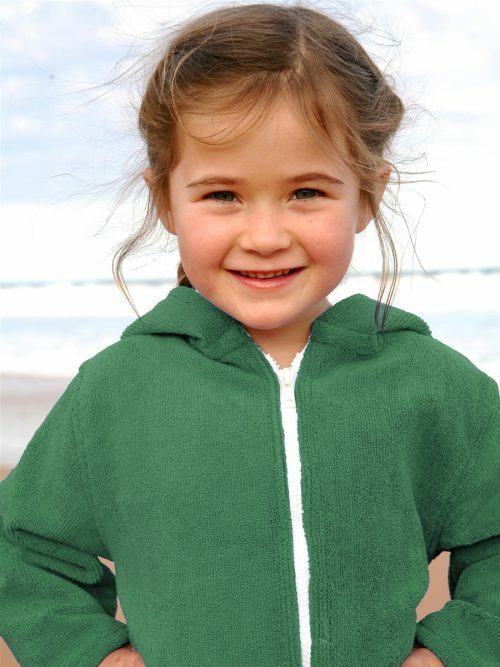 Distinctive, high quality Terry Rich Diver embroidery. Knee length cut long enough to sit on in a car seat. 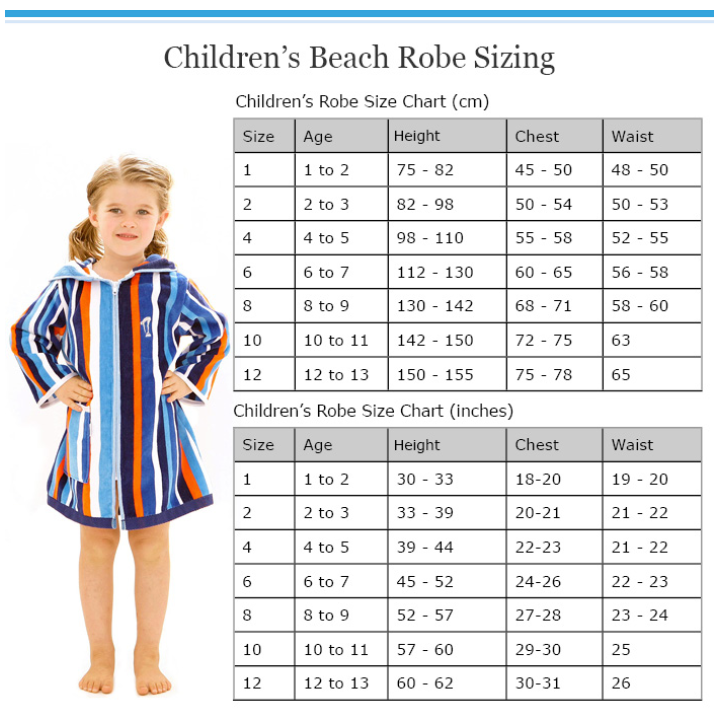 A very handy summer beach robe for kids that love to swim. 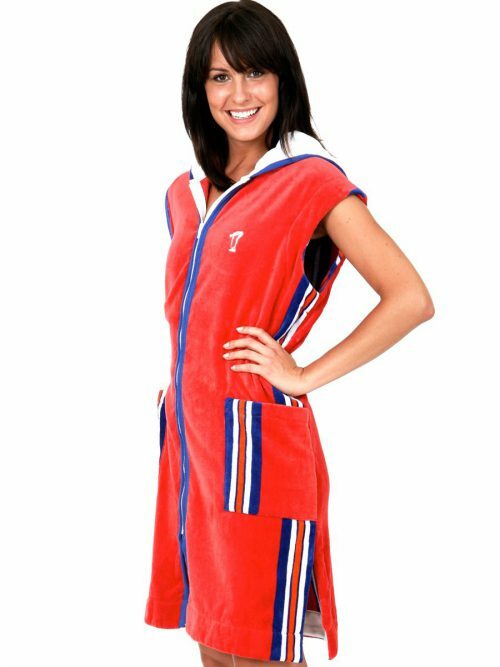 PLEASE NOTE: This is a simplified version of the classic Terry Rich (sleeved) beach robes. 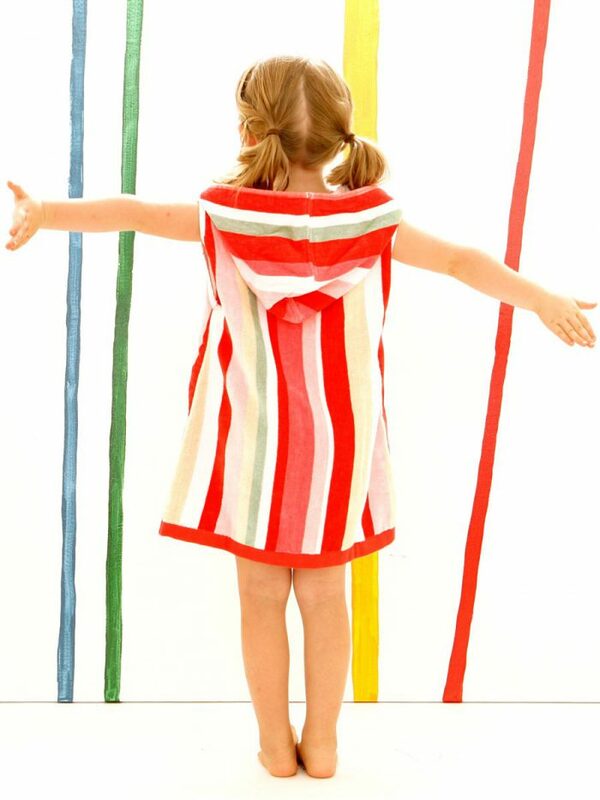 This item is made offshore. 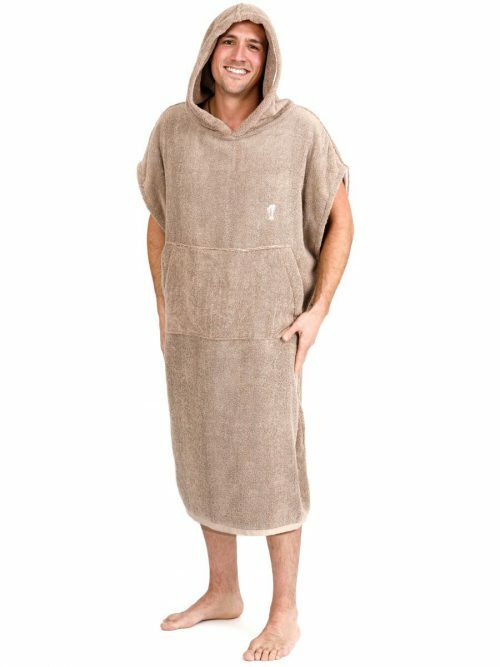 For a full list of the many unique Australian made Terry Rich Beach Robe features please review the product details of a Sleeved Beach Robe for comparison.